FRISCO, Texas - RS3 Strategic Hospitality, a division of Ryan Sanders Baseball, and the National Hockey League's Dallas Stars announced a new partnership on Friday afternoon that will bring the Round Rock-based food and beverage provider on board to serve the newly renamed Comerica Center in Frisco. Formerly Dr Pepper Arena, the Comerica Center complex includes the practice facility for the Stars, the executive offices for the team's business and hockey operations and a recently renovated 6,000 seat arena. "We are proud and privileged to expand our signature brand into the powerful Dallas/Fort Worth Metroplex," RS3 Strategic Hospitality Senior Vice President Jay Kudla said. 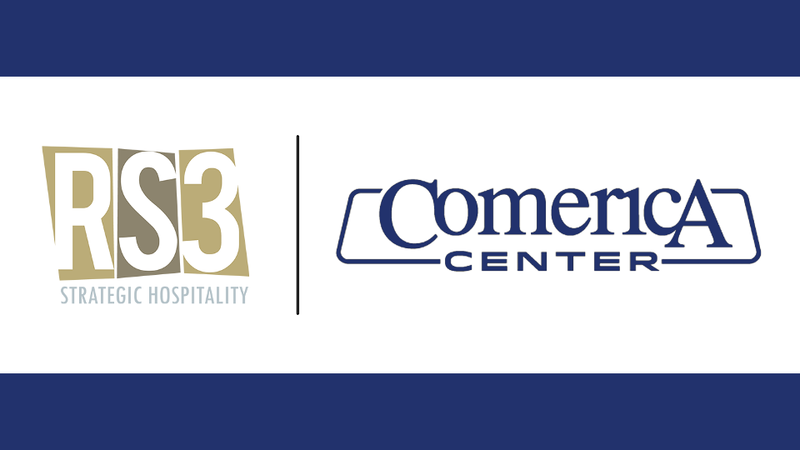 "We look forward to delivering upon our mission of bringing innovative and creative dining experience to the Comerica Center with a new degree of value, variety and cuisine." In the summer of 2018, the arena underwent major renovations as it strives to remain at the forefront of the entertainment industry while also ushering in a new era as Comerica Center. RS3's renovations included the installation of state-of-the-art strategic hospitality services specifically menu engineered to highlight the unique atmospheres of each event. Additionally, RS3 completed construction of new concourse storefronts, bringing in many of the food and beverage provider's popular brands like Fairlane's Diner, Coop & Kennel Pub, Metro Deli and Rojo's Mexican Hideaway. Each destination features a different theme and signature menu aimed at increasing the overall fan experience. RS3 also offers a wide selection of beers, wine and spirits at different bars throughout the arena. Located in one of the fastest growing cities in the United States, Comerica Center is at the corner of the Dallas North Tollway and the Sam Rayburn Tollway and easily accessible from anywhere in the Dallas/Fort Worth Metroplex and surrounding North Texas communities. Originally constructed in 2003, Comerica Center was built in partnership with the Dallas Stars, City of Frisco and Frisco ISD. The arena portion of the complex is a multi-purpose sports and entertainment venue that is home of the Texas Legends (NBA G League affiliate of the Dallas Mavericks) and hosts concerts, family shows, corporate conferences and other sporting events. Over the last year, the facility has hosted Cirque De Soleil, the Harlem Globetrotters, the Men's and Women's Lone Star Conference Basketball Championship, Frisco ISD graduations and numerous other events and conferences. The venue seats up to 6,000 people and features amenities such as a state-of-the-art sound system, multiple HD video screens, 12 suites and a private lounge area. RS3 currently operates the food and beverage operations at seven other facilities in Texas, including the 360 Amphitheater, Jimmy Clay Golf Course, Roy Kizer Golf Course and Circuit of the Americas in Austin, Dell Diamond (home of the Round Rock Express, Triple-A affiliate of the Houston Astros) and the United Heritage Center in Round Rock, and the H-E-B Center in Cedar Park (home of the Texas Stars, the American Hockey League affiliate of the Dallas Stars). For more information on RS3 Strategic Hospitality, visit RS3culinary.com and follow us on Facebook, Instagram and Twitter!